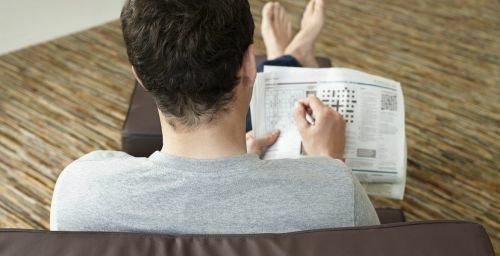 If Sudoku for you, is actually that one game which you see all the time, everywhere but don’t know how to play or even what it is, then you came to the right place. First, you should know that Sudoku is a logic-based number placement puzzle traditionally which mostly appears in newspapers. It is later adapted to the video games or online games where it again proved to be quite popular. The main objective of the puzzle or gamers is to fill this 9 X 9 grid with numbers so that each and every column or row of 3 X 3 subgrids or boxes should end up having all the numbers from 1 to 9. So, as you are a beginner to the game, here are the pro tips to make it easy for you. As a beginner, you should start the game with the easiest play to gain confidence and flow in it. Start from adding the number where it seems the easiest opportunity. This usually is possible to the subgrid or square which is the most crowded or the row with maximum numbers. In the easy rated puzzle games, you find the numbers with the process of elimination. Like if you see a box with numbers from 1 to 7, you came to know that only 8 and 9 are left to fit in. You know that Sudoku is all about placing the right numbers to solve it. So it is evident that you should start with the numbers which are missing in the first place. With the process of elimination, you might get initial or most of the answers right. Look out for the numbers missing in the box and find those in nearby rows but in that same box. See whether you can get any of those missing numbers there from the row. Some are natural Sudoku players, it just came to them gradually and they get used to it. If you are a beginner and want to stick to the game, you better start having fun with it. Try learning various tricks on sudoku which in the public domain. It is a great way to get onboard with Sudoku for the beginners. There are various tricks like Naked Single Candidates or Hidden Single Candidates and much more like this. You must remember, it is a number-placement puzzle game, not number guessing. Guessing numbers for the blocks will only make it hard to play further. You should only place the number in the block when you are confident, otherwise, next to every move you do will make wrong. Every number you place in a block is going to make it effective on others or your next move. So if you think, you are getting on wrong feet, it is must to re-evaluate your previous move or placement. It will help you to gain more right steps forward and prevent the mistakes due to which you might get stuck.